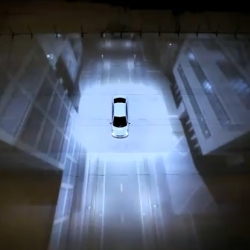 Great physical spot by Hyundai for the Accent, utilizing 3d image projection mapping. 'New Thinking. New Possibilities'.